If you require effective and swift legal representation after an accident or injury that was not your fault, and you live or work in Brighton, or the surrounding areas, then our panel of no win no fee* solicitors can help you. Our specialist no win no fee* lawyers help members of the public to claim the personal injury and accident compensation that they deserve. Because they work on a no win on fee* agreement it means our panel of solicitors** can represent you without you having any financial risk. We have a friendly and approachable team who will be sympathetic to you when you call. To get started you just need to phone us or complete the accident claims form so we can tell you exactly whether or not you can claim for injury compensation. Call now to discuss how much compensation you could be owed. No win no fee* is a relatively new term in the legal world, and before it was introduced, UK and Brighton residents used to be able to claim for legal aid. Legal aid is no longer available for most types of personal injury claim, which is why this new process is now in place. It means by using our Brighton no win no fee* solicitors you can get access to the legal system and ultimately justice, no matter what your financial circumstances might be. We will help you to get the compensation and damages that you deserve, whilst you don’t have to be concerned about expensive legal fees whilst you recover and recuperate. Once the personal injury claim is settled you will be paid your compensation. In some cases we even manage to get clients interim compensation payments whilst the case is progressing. Most clients that we deal with never have to attend court, as most no win no fee* cases are swiftly dealt with by our lawyers and the third party insurance companies in an out of court settlement. Sometimes you might here a lawyer or solicitor** also refer to these as conditional fee agreements. They are one and the same thing. All it means is that you are not responsible for the legal fees incurred when you use the services of a no win no fee* solicitor. When one of our panel of Brighton no win no fee* lawyers wins your case and claim, any compensation will either be paid for from a special insurance scheme, or will be taken as a percentage of your final claim amount. In the unlikely scenario of your lawyer being unsuccessful then you will not have to pay for any legal fees. Because we work on this basis, it means you don’t have all of that extra worry about spending money on an expensive Brighton solicitor** – instead you can let us get on with the hard work whilst you take time to recover from the injury and accident. 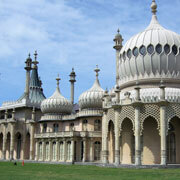 No Win No Fee Brighton – Why Choose Us? 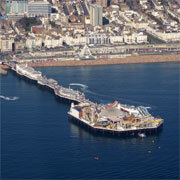 We can help people living and working in and around the Brighton area. You will see plenty of companies advertising themselves and their services, but we believe it’s critical that you work with a solicitor** who is reliable and trusted. You need to be sure that your personal injury claim is being handled with the care that you deserve. Our team have years of experience in helping people just like you and have an excellent track record of success. We are experienced in a wide and varied range of personal injury claim types ranging from car accidents, slips and falls, to work accidents. So no matter what has happened to you, it’s very likely that you will be dealing with a no win no fee* solicitor who has probably already handled a similar case successfully. Choose us and take advantage of our excellent reputation and attention to detail. Whilst we will make every attempt to make sure that you don’t have to do any unnecessary paperwork, there will be times during the process when our solicitors** will need your input. We will always try to ensure this is kept to the bare minimum though. Throughout the entire process, our panel of no win no fee* solicitors will keep you informed as to what’s happening and are always available to answer any questions you might have. This is part of our commitment to customer service, and a dedication to giving you the very best treatment from first moment that we talk to you. So, if you would like to make a personal injury claim, and live or work in Brighton and the surrounding areas, call us now. One of our experts is ready and waiting to speak with you and will be able to quickly tell you where you stand from a legal perspective, and in some cases might even be able to tell you how much compensation you might be eligible for. We are proud of how we work, and the fantastic feedback that we have received from our existing customers. We would love to be able to add you to that list of happy clients. Even if you don’t need our services today, please make sure that you bookmark this “No Win No Fee Solicitors Brighton” page for future reference should you ever need to talk with us.